Word came from Multisport Canada this weekend that the new Half Distance Duathlon added to the Barrelman weekend would have to be cancelled. While the reasoning behind it is sound, this comes as a huge blow to duathletes in Ontario banking on the long distance race to end off their season. With Peterborough and possibly Welland on the schedule for a similar distance, 2014 was shaping up to be a rare year for long course duathletes to be able to focus on the longer distance. 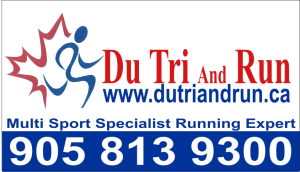 While triathletes generally have a wealth of options to choose from when it comes to race distance, the scarcity of longer distance duathlon offerings makes it very hard for those with long course ambitions to gear a whole season towards the distance. That’s a lot of stress to put your body through for a pay-off of one race, but 3 offerings makes it much more feasible. Duathlete friends that I have like Larry Bradley of Mississauga and Daryl Flacks of Windsor seemed to be reveling at the possibility of a long course season! Do you need assistance in getting your training all set for the upcoming season in the Recharge With Milk Triathlon Series? 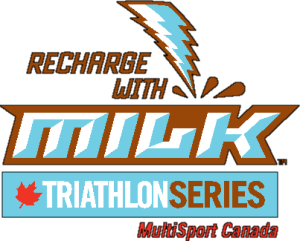 MultiSport Canada has joined forces with Recharge With Milk and Healthy Results Training to provide new athletes with a set of quality generic training programs for the Give-It-A-Try, Sprint and Olympic distance triathlons. These programs are free and are designed to help you arrive ready come race day. Click here to find out more and to Get your Free Training Program. Whose ready for the 2014 season? We are finally getting a real dose of winter here in Ontario but have you had enough of all this cold, snow and ice? Hopefully you are making the best of things as you prepare for the light at the end of the tunnel and the start of our season on May 25th at Woodstock. This will be the final edition of the newsletter being delivered like this. As we go forward, all of the latest Series News, Sponsor Deals, Training Articles, Athlete Profiles, Special Stories, along with information regarding Camps, Clinics and other Events, will be posted on the MultiSport Canada News Blog. These items will also be posted on our Facebook and on Twitter feed. You will still get a monthly Newsletter but that will be sent via email and will feature any immediate announcements and highlight the major news of the month. Our last big event of the season takes place on Saturday November 16 with the Series Awards Day. We hope you will join us. It is always great to see everyone dressed up and not in race gear. And while we celebrate the triumphs of the 2013 season, it is also time to look ahead to 2014. Our 2014 Recharge With Milk Triathlon Series schedule will be released as soon as we finalize a few details. We are always looking to make improvements so there may be a few changes. Stay tuned. We are also excited about our inaugural Niagara Falls Half Iron Triathlon. Registration is currently open and there are a number of incentives to enter early. Check out all of those incentives along with the latest Series News, Training Articles, Deals, Athlete stories, and training opportunities to get you ready for the 2014 season. Enjoy this November issue! Where else can you let the race organizer know how you felt about the race and get a ballot to win one of $11,000 in prizes? We really do use the feedback you provide to improve our races and hope you will take a few minutes to complete the Customer Satisfaction Survey. After every race we will send out a Post-Race Survey where we ask you about your race experience. Complete the survey and you will receive a ballot in the Season Long Draw. The survey helps us improve, make changes and let’s us know how we treated you on race day. You just need to tell us what you think of the race. Here is the Lakeside Post-Race Survey. Where else can you let the race organizer know how you felt about the race and get a ballot to win one of $11,000 in prizes? We really do use the feedback you provide to improve our races and hope you will take a few minutes to complete the Customer Satisfaction Survey. After every race we will send out a Post-Race Survey where we ask you about your race experience. Complete the survey and you will receive a ballot in the Season Long Draw. The survey helps us improve, make changes and let’s us know how we treated you on race day. You just need to tell us what you think of the race. Here is the Wasaga Beach Post-Race Survey.